Today we visit the picturesque Polish city of Bialystok, dotted with many quaint, old-world buildings. Despite enduring traditional influences, urban homes here are increasingly embracing modern accents, brighter hues, sleeker designs, and even quirky and eccentric touches. At times, random vintage or rustic elements are also being incorporated into a contemporary design scheme to give the abodes a unique look and feel. And all of this you will find when we witness the transformation of Dworek Przed, once a dated and shabby home filled with uninspiring decor. But the visionary interior architects at Projeckt MB have revamped this residence with sleek and glossy finishes, futuristic décor accents, stunning lights, peppy hues, and charming touches of design fusion. Read on to know more! We're pretty sure that every time the home owners would walk into this kitchen, the first reaction would be a resounding “oh no!”. That was our initial reaction too, thanks to the lacklustre cabinets and the mismatched colours that gave it a dingy pallor. Clutter was a major issue too, with pots and pans crowding the countertop and even the tops of the cabinets. Sit down, cook or simply read a book here – this is now our favourite spot in the entire home! 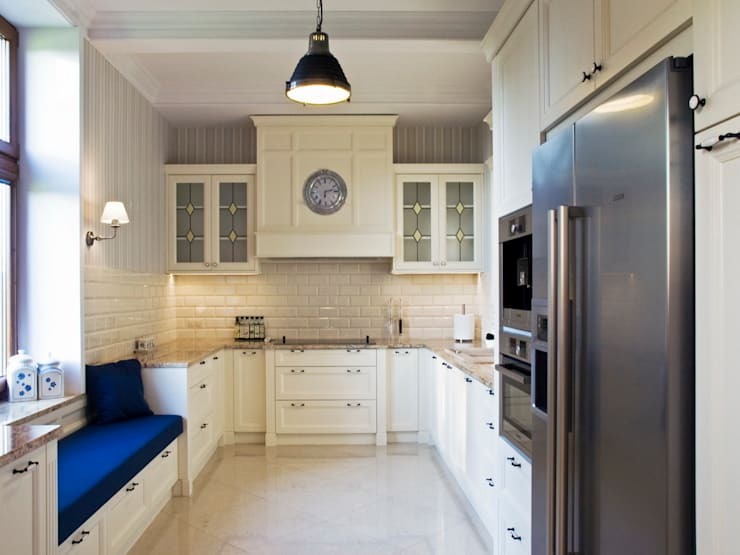 The kitchen got a bright cream-hued makeover with a sapphire blue couch at the bay window. The seating takes the style and fun quotient up in equal doses, as a dainty lattice-like pattern adorns the frosted glass cabinets. 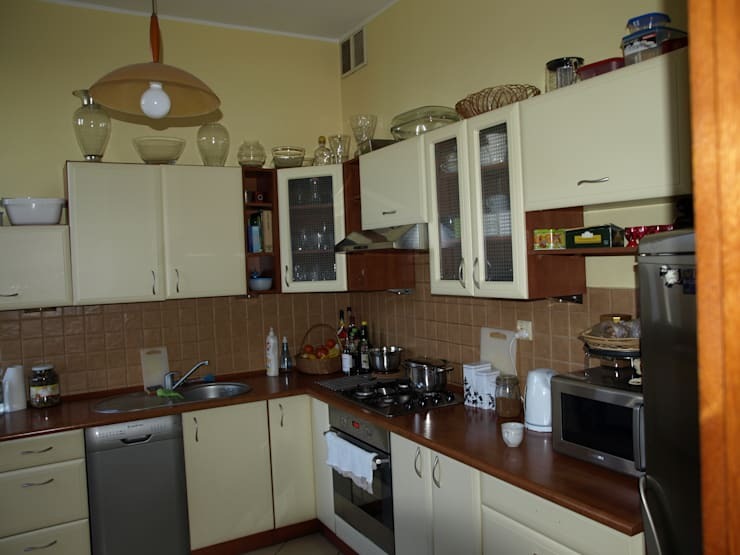 The orientation of the kitchen has also been changed to enhance its spaciousness and control clutter. Ample storage space in form of sleek and glossy cabinets and drawers house all the appliances as well as kitchen essentials. The dining room was previously a nonexistent space which was underutilised and gloomy. The worn-out and tired charm of the old bureau here was not doing much for the home. 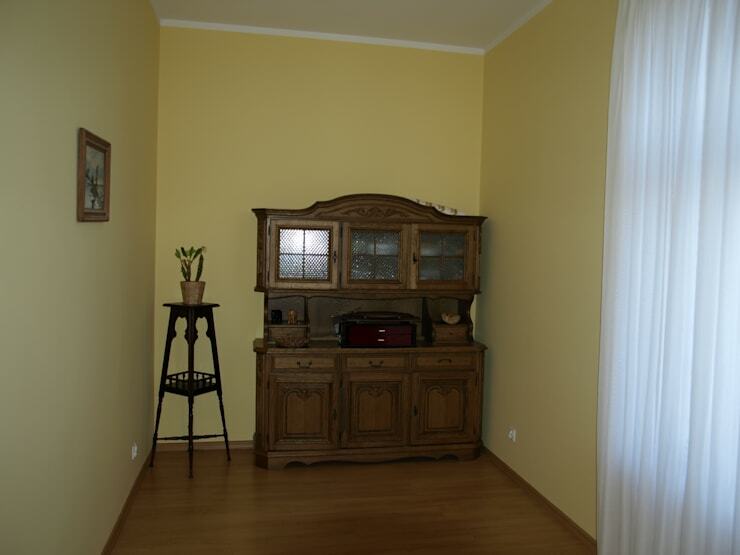 The pale yellow walls and dark wooden flooring seemed to augment the depressing look and feel of the area. The designers decided to retain the charming, classic look of the home, albeit in a updated manner, with a beach-inspired palette with blue and pale wood touches. A long mirror above the couch and the classic chairs with the carved table speak plenty about the aesthetic taste of the architects. 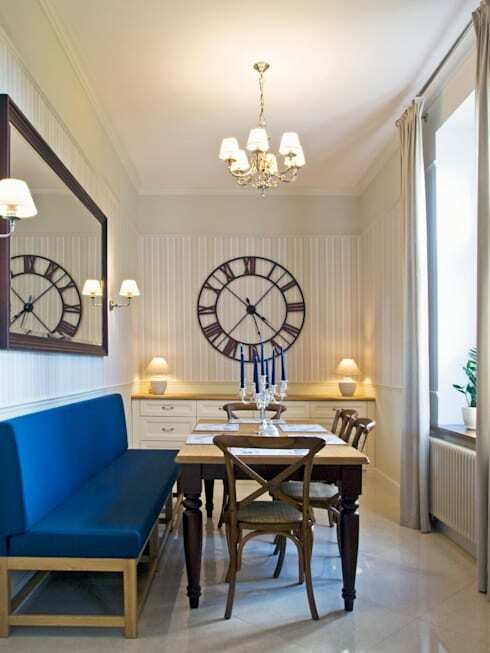 An oversized clock at the end and beautifully glowing lamps complete the look. 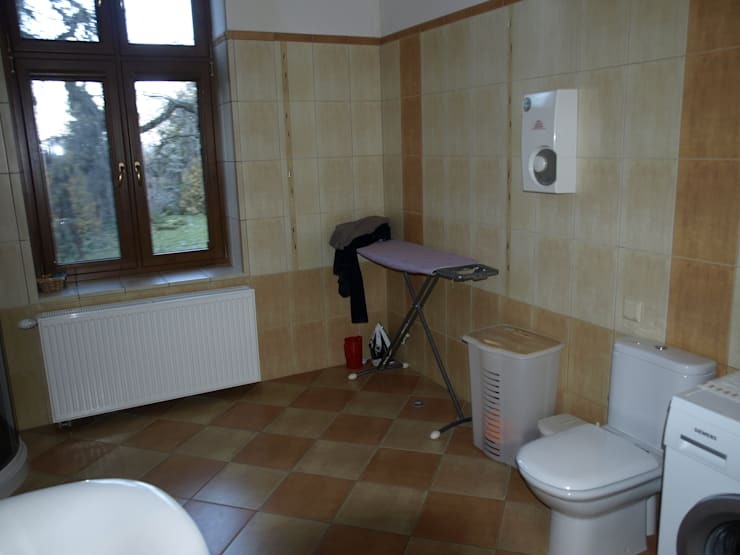 The bathroom originally exuded an utter disregard for planning and proper layout. Also, the ageing tiles and lack of sufficient lighting added to the depressing and unwelcoming ambiance. Rich elements and a mellow yellow glow now come together to create a wonderful vintage yet modern bathroom, divided into various zones for a more luxurious and practical feel. 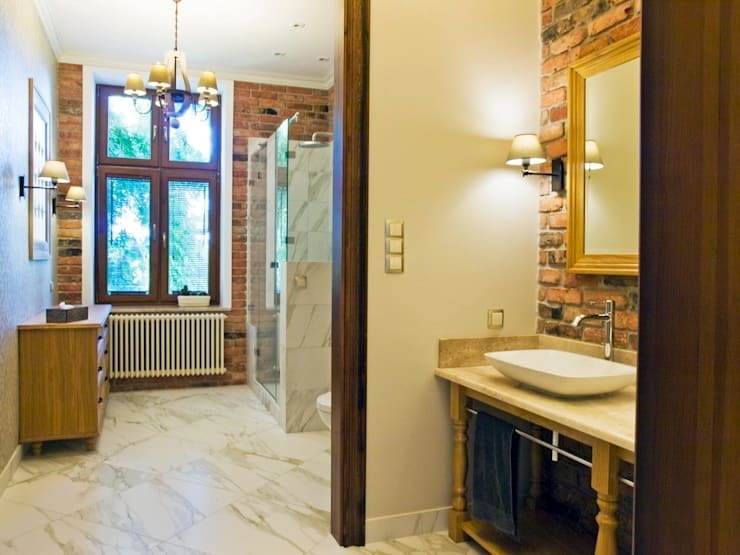 The exposed brick walls exude rustic charm, while the wooden and marble touches make a world of difference! Sleek sinks and a glass shower enclosure take care of the modern appeal of this space. 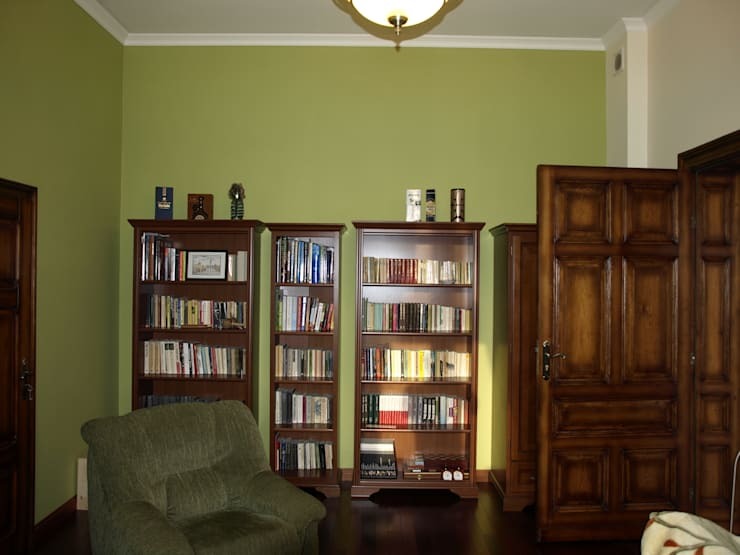 Conventional and dull bookshelves add a gloomy green shade in a faded hue. This room made us want to hit the snooze button, thanks to the boring décor! The lumpy armchair was an eyesore too. 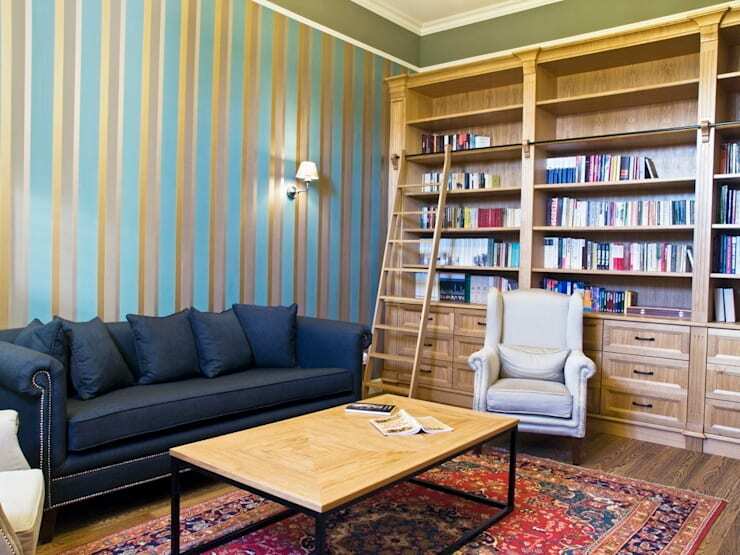 Now, the study is filled with regal-looking stripes in blue and gold with a stylish navy couch taking centre stage. The pale-hued wall-to-wall shelving unit offers more storage than before, without hindering the spaciousness of the room. The plush vintage armchair in gleaming white and the ornately patterned carpet adds to the oomph of this space. This renovated home is a heady yet tasteful mix of the modern, vintage, rustic and the quirky! It combines rich textures, interesting hues, arty designs and unique accents for a remarkable living experience. Check out another home tour for more ideas: Banal to blinding:a tiny Japanese apartment finds its shine. What do you think of the quirky decor touches in this updated home? Let us know!